We have studied the acoustic behavior of captive Commerson's dolphins (Cephalorhynchus commersonii) in Japanes aquarium. In order to study acoustic behaviors of Chilean dolphins (Cephalorhynchus eutropia) which belong to the same genus as Commerson's dolphins, I visited Melinka iland located to the south of Chiloe iland, Chile, from January to February, 2011. 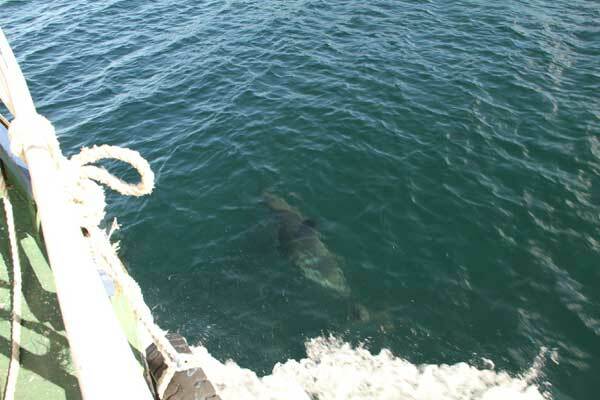 Melinka iland is a small iland, Chilean dolphins and many kinds of cetacean inhabits around this iland. In the field research, species, location, group size, behavior and sounds were recorded for each dolphins observed from the survey boat. Average of the group size was 2. 25 in Chilean dolphins. We could observe many mother-calf pairs and recorded their sounds. They were often observed in shallow-water area less than 5m in depth with many kelps at the bottom. The sound characteristics were found to be similar to those of Commerson's dolphins. 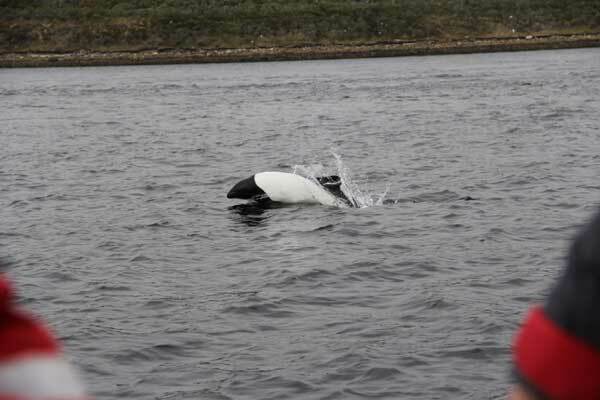 In order to study the acoustic behaviors of wild Commerson's dolphins, we visited Fitz Roy Channel located on the north of Punta Arenas, Chile, in March, 2011. Fitz Roy Channel is a narrow channel of about 3km in width and 15km in lengh exposed to strong winds and currents all the year round. Average group size of the wild Commerson's dolphins observed here were 3. 26. They were often observed in the shallow water area less than 10m with many kelps at the bottom. The Commerson's dolphins of this area were often observed to dive many times at the same spot. They seemed to dive deeper than Chilean dolphins of Melinka. During these divings, they seemed to forage the fishes under the water.